For the second straight year, Mizuno USA Inc. and run specialty franchise Fleet Feet have teamed up on a running shoe collaboration, and their goal is to raise funds for breast cancer research. 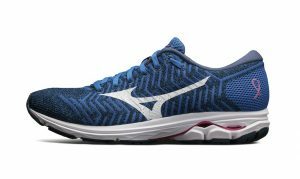 The two companies are again united on Project Zero, an initiative that centers on a men’s and women’s running shoe that Mizuno designed and will be sold in Fleet Feet stores in late summer through the fall. While most of the marketing will happen in the period leading up to and during October—Breast Cancer Awareness month—Mizuno unveiled the shoe at Fleet Feet’s National Franchise Conference last month in Minneapolis, MN, for the franchise owners who will be selling it in their stores. The Mizuno women’s (pictured above) and men’s (pictured left) Waveknit R2 is an updated and rebranded version of the company’s Waverider 22 midsole. The shoes feature the pink ribbon that is the symbol of the fight against breast cancer as well as Fleet Feet’s new logo (read more here about the company’s recent rebranding). The companies will donate $10 from each pair of shoes to the Breast Cancer Research Foundation. But the shoes are only part of Project Zero, which also includes some apparel—tights, tops, shorts, singlets and shirts—with $5 from each sale of those items going to the cause. There’s even a Project Zero-branded bottle of wine (right) that Mizuno was showcasing at the company’s Fleet Feet booth. Last year Mizuno and Fleet Feet raised $72,175 for BCRF. Chris Hollis, Mizuno’s brand manager, running, said being able to contribute to the organization is important to both Mizuno and Fleet Feet because so many people who work at the companies—and even more who are part of the broader running community—are impacted by breast cancer, whether it’s family members, friends or coworkers. “We want to play a bigger role in society for something that’s touched everybody’s lives,” Hollis told SGB. And while the goal is to raise money for BCRF, a less tangible but equally important goal for the campaign is spreading as much awareness as possible about the importance of how breast cancer affects so many people and the fact that there are ways for anyone to help fight it. 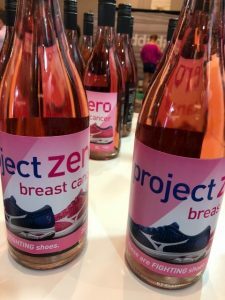 “The effects of breast cancer are wide-reaching,” the company said when launching the Project Zero campaign last fall. “One in eight women will be diagnosed with cancer in their lifetimes. By launching #projectzero, Mizuno is committed to support BCRF and working together to achieve the ultimate goal of zero lives lost. Last year’s inaugural Project Zero campaign highlighted “stories of strength and perseverance from six charismatic, inspiring breast cancer survivors, and people whose lives have been touched by breast cancer, including Mizuno pro athletes April Ross, Jennie Finch and Meaghan Krifchin,” the company said in a press release. But while celebrity athletes are important ambassadors for spreading the word about the campaign and how people can help through purchases of cobranded gear at Fleet Feet stores, this year’s campaign will bring a new twist—and also bring the fight closer to home. Fleet Feet store owners who have been impacted by breast cancer are sharing their stories. Mizuno asked store owners to stop by the company’s booth at the Fleet Feet conference to have their portraits taken while holding a poster with the name of someone they know who has battled or is battling cancer. The portraits will be collected into marketing materials that show how widespread breast cancer is and how a simple choice of running shoe can help, even in a small way, the fight. It also reinforces the notion that running is one of the central themes of battling breast cancer, as evidenced by the popular Race for the Cure events around the country. 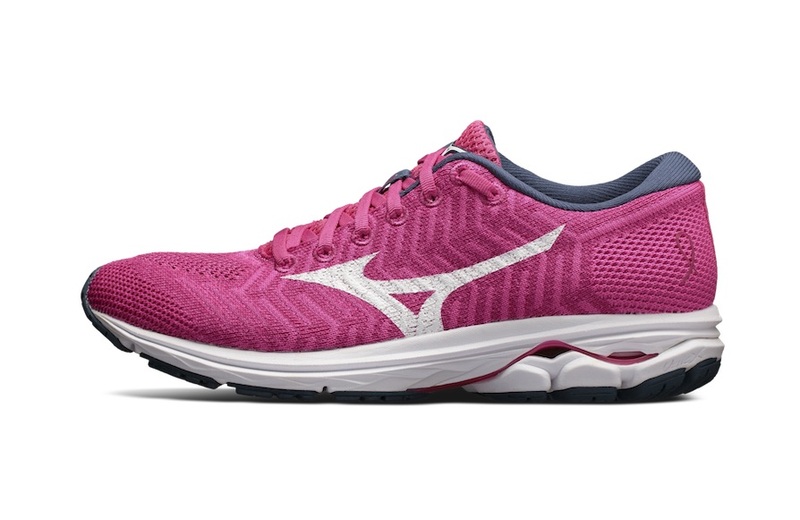 So as a running shoe and apparel company, Mizuno is clearly ready to go the distance and leave breast cancer in the dust. “We want to play our part in the overwhelming momentum of curing the disease,” Hollis said.